Simon Tyler Head of Sales and Business Improvement at Eurostar International; Kamal Abbasi (Eurostar); Derek Sharp Senior Vice Present and Managing Director of Air Commerce at Travelport; Karima Bennour On Board Agent at Eurostar. Eurostar has joined over 260 airlines as Travelport’s first rail operator benefiting from its merchandising solution Rich Content and Branding. The agreement between the two companies was announced on Monday. 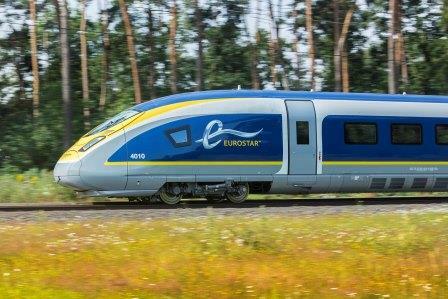 Rail operator Eurostar is the only high-speed passenger rail service between the UK and mainland Europe, via the Channel Tunnel. It providing direct services between the UK and Paris, Brussels, Calais, Lille, Lyon, Avignon, Marseille and the French Alps. According to the new agreement, travel commerce platform Travelport will help Eurostar take advantage of the phenomenal growth of high-speed rail by connecting it to over 68,000 Travelport-connected online and offline travel agencies and travel management companies worldwide. “The agreement marks another significant milestone for Rich Content and Branding, as Eurostar is the first rail operator that can display rich content in a way which replicates the consumer experience online,” said Derek Sharp, Senior Vice Present and Managing Director of Air Commerce at Travelport. Through its Rich Content and Branding solution, Travelport will also deliver to agents a graphically rich experience when searching for and booking Eurostar branded fares and seats. 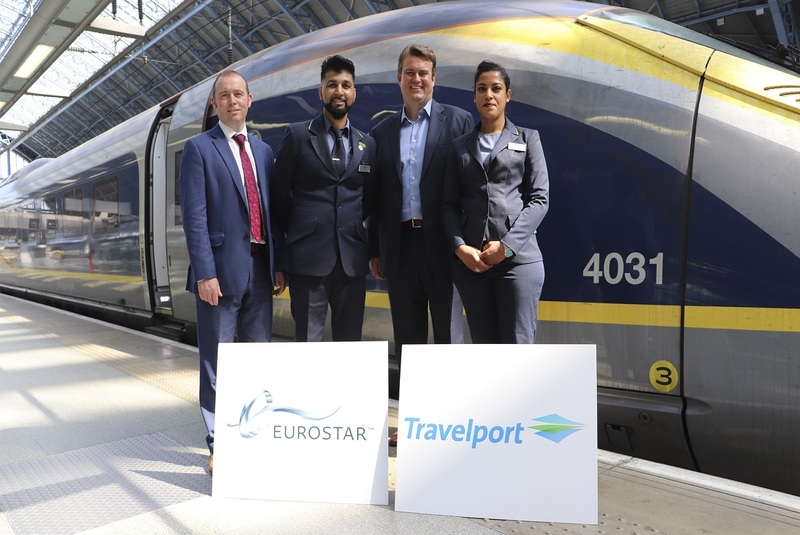 “Our agreement with Travelport demonstrates our commitment to better serve the end traveler and marks a new era of indirect distribution for Eurostar,” said Simon Tyler, Head of Sales and Business Improvement at Eurostar International. “With visually rich content covering our on-board classes of service and range of fares and offers, agents across the world will have at their fingertips the product information they need to represent our offering in the best possible manner,” he added. Launched in 2014, Rich Content and Branding already allows over 260 network airlines, low-cost carriers and now rail operators to differentiate themselves through strong visuals and detailed description of their products and services. “Today, Travelport offers richer content to over five times as many airlines as its nearest competitor, an achievement which strengthens its leading position in the travel merchandising space,” the company said.